BISHKEK (24.kg news agency) – The Office of the General Prosecutor of Kyrgyzstan confirmed the arrest of Maxim Bakiyev, the 34-year-old son of the former president. He was put in detention in London on Friday at the request of Kyrgyzstan and the United States, which want him “for grave crimes”, the Kyrgyz president’s office said. In October 2009, Maxim Bakiyev was appointed the head of Central Agency for Development. After the 2010 overthrow of his father, the interim government charged him with embezzlement and abuse of power. It is suspected having transferred about $35 million of a $300 million loan from Russia into his private bank accounts. Prosecutors also allege that his companies owed almost $80 million in fees on aviation fuel. Maxim Bakiyev, who under his father headed an investment agency, has been accused by the Kyrgyz new authorities of involvement in large-scale frauds which stripped the impoverished nation’s assets of millions of dollars. 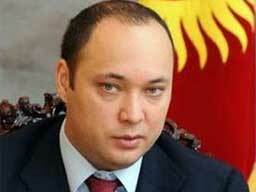 Soon after the fall of Bakiyev, Kyrgyzstan made a request to Interpol for his son to be arrested. According to Reuters, British police said Bakiyev had voluntarily visited a police station in central London by appointment. There, he was arrested by extradition officers on the request of U.S. authorities, who want to question him for alleged involvement in fraud. Immediately upon entering the UK on June 13, 2010, arriving by private plane, Maxim Bakiyev issued a request for asylum. At the time, the UK Border Agency categorically denied having granted temporary asylum in the UK to him. Belarus had granted asylum to the former President Kurmanbek Bakiyev after crowds of protesters seized his government headquarters in April 2010. In this revolt about 90 people were killed when security forces opened fire on opposition supporters. Belarus has repeatedly rejected Kyrgyzstan’s requests to extradite the former president, who is accused at home of “mass killings” of protesters during the coup. In recent months, Kyrgyz-Belarus relations have deteriorated furthermore following Minsk refusal to extradite the ex-president’s younger brother Zhanybek, who headed his personal security guard and is also accused of committing mass killings.